Hungry Panda is one of the polishes from Nail Sauce’s Go Wild! collection that is being released today! Hungry Panda is a milky white base with both large and small black hex glitter and small green bar glitter. I love this flamingo. This isn’t your eccentric aunt’s pink flamingo out in the front yard! Did you know? Don Featherstone of Massachusetts is the inventor of the pink plastic lawn flamingo, which has been gracing lawns since 1957. Now moving along to the important stuff. Felicia of Nail Sauce has a new collection coming up. It’s called Go Wild! Its release date is Monday, April 15, 2013 and that’s tomorrow. The first beauty that caught my eye was Flamingo Berry. Hello lovely dolls! Luscious Potion recently sent over minis of her 1st Disney collection for me to review. These colors are Cutie Star, Elegant Lotus, Innocent Snow, Royal Beauty, and Simply Magical. Luscious Potion is very new to the indie nail polish community and this is actually her very first collection! Greetings and salutations my earthling friend (lol) my nails are a-glowing tonight. On my nails is Stardust Polish’s Blue Lagoon. It is from her new Summer Cocktails collection. 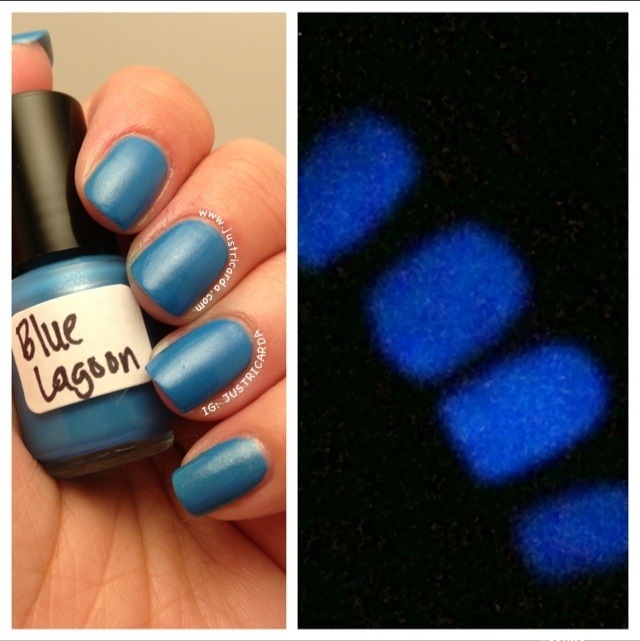 Blue Lagoon is a shimmery sky blue glow in dark. Do your nails glow today? If not, check this one out. 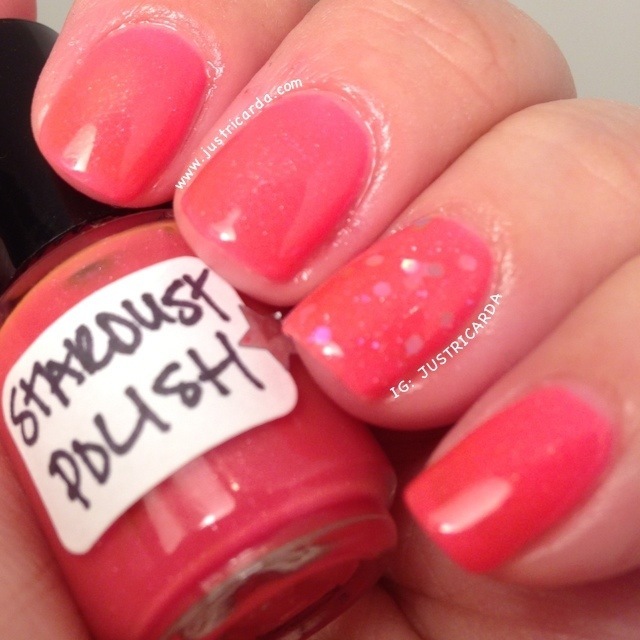 Stardust Polish’s Pink Bikini is such a fun jelly polish! Pink Bikini is from the Summer Cocktails collection that is released on Friday April 12th. It was refreshing to receive at least one indie polish that didn’t have glitter in it for review. Sometimes a simple polish can be beautiful and that is what Super Giant is. 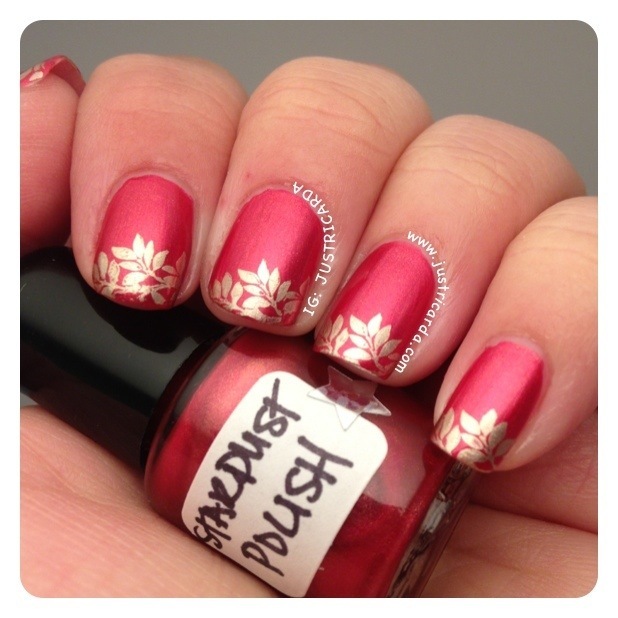 Stardust Polish’s Super Giant is this gorgeous rich red with a slight shimmer and some gold undertones to it. White Dwarf Opaque is one of the polishes I received from Stardust Polish for review. It’s from her Space collection. White Dwarf Opaque is a white base with silver holographic glitter and iridescent glitter. It does look heavenly.